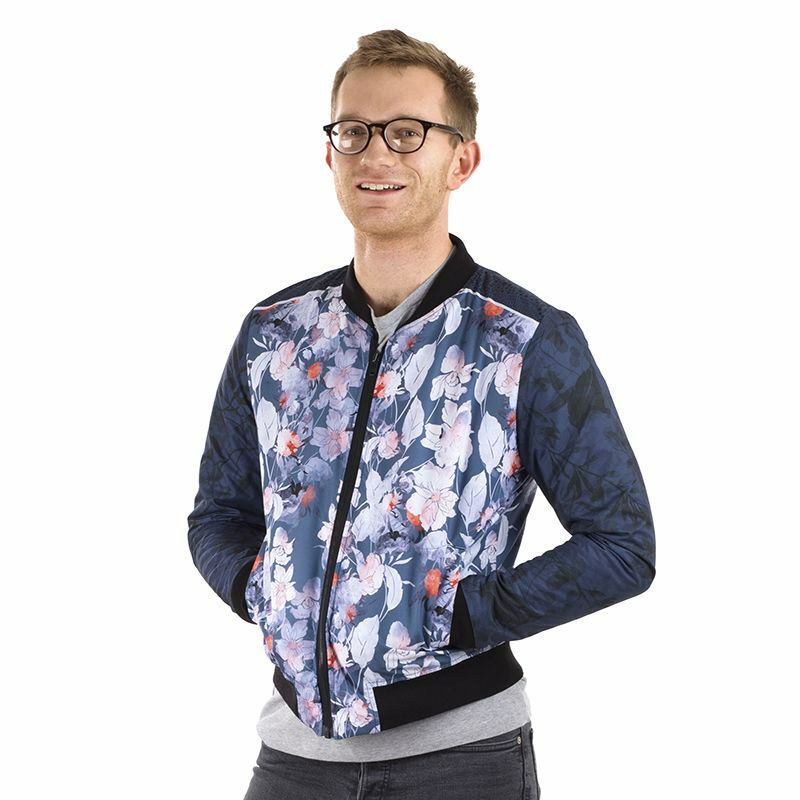 The men's custom bomber jacket is an on-trend, edgy addition to any wardrobe. Design the front, back, sleeves and custom label for a truly unique piece of apparel that oozes style. Handmade and available in three different finishes, the personalised bomber jacket is a timeless fashion statement that you'll be able to rock for years and years. No minimum order requirements. A classic piece that will never go out of style, the bomber jacket is an iconic, fashionable look for men. Customise your own bomber jacket for yourself or as a special gift for a loved one and bring out their personality for the world to see. With five printable areas, nine sizes and three fabric finish options, your personalised bomber jacket is the canvas for your creativity. Jacket looks fantastic, just how it looked on the design tool. Great product ,quick delivery, Good materials of this particular ''Bomber Jacket'' Mens Bomber Jacket M (38-40"), Waterproof outer Quilted inner, Black Rib, Black Thread, Thank You ! This water-resistant matte fabric has the classic bomber look. Breathable waterproof outer, and a warm quilted lining to keep you cosy on cold days. Choose either a black, white or grey rib, lining and zip-tape. Hardwearing Italian polished silver coloured metal zip teeth and puller. Luxurious shiny Duchess Satin makes a stylish statement and feels gorgeous against the skin. You can select the colour of the rib and zip-tape (black, white or grey) but the satin lining will be black for the grey and the black options, whereas the lining will be white for the white ribbing. Hardwearing Italian silver coloured polished metal zip teeth and puller. Due to the superior finish and high quality of the satin material, there is a small extra charge with this option due to the additional time it takes to handmake. This is a great way to mix fashion with function. The Softshell is an insulating jersey, which is thick and flexible. It prints beautifully and will make your designs stand out. The luxurious satin lining gives this fabric option a high-end edge. Add your own customised clothing label to make it truly bespoke. Write a special message or print your branding to promote your fashion. Like many of our products, the customised bombers come with a quantity discount, so buy more than one today and save money. Measure around your fullest part, with the measuring tape under your armpits, making sure the tape is flat across your back. 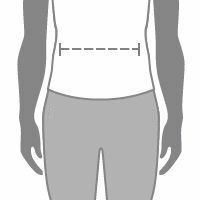 Measure around your natural waistline - which is the soft squidgy part just under your ribs. Your bomber jacket is personalised and handmade to order in London, UK by our textile professionals and seamstresses. We print your designs onto several pieces of fabric and stitch them together by hand to make your bespoke apparel. Care: for all custom bomber jackets, we recommend dry cleaning only. Satin lining is black or white, but the quilted lining can be black, white or grey. The optional clothing label is an added area to personalise to make your men's bomber jacket entirely unique and individual to you. Printed with your name in the label and your colourful custom design, you’ll have no trouble picking it out amongst other regular coats. Give your style an edgy twist and customise your bomber jacket with rock ‘n’ roll designs; album covers, band emblems, iconic gig images. This is a special way to pay homage to your favourite band, and what’s more, no other fan will have the same one. For an on-trend look for the new season, print abstract patterns, or escape to the realm of fantasy and turn your personalised bomber jacket into a Fashion Week staple. There’s no limit to your imagination, so be as wild or as a subdued as you like. Design your own bomber jacket using our photo collage app; choose a collection of all your favourite snaps from throughout the years and upload them onto the jacket. Create one for an anniversary gift, a present for a special milestone birthday or a novelty item for your best mate’s stag do. Design your own Personalised Hoodie at Bags of Love! Our stylish hoodie for men has been created in-house and is made to order. Our Personalised Bomber Jacket is a handmade bespoke jacket for her, which can be designed online at Bags of Love.